ANTARCTIC. Antarctic ocean heating up – caused by greenhouse gas emissions and ozone depletion. NORTH KOREA. Trump-Kim nuclear summit planned – but there is no real progress towards nuclear agreement. North, South Korean Leaders in Fact Proclaimed End of State of War – Seoul. USA must declare an end to the Korean war – to bring peace to the peninsula. Scientists study North Korea’s nuclear tests, and the earthquakes. Solar and wind power back on the day after Hurricane Florida: nuclear and coal not so resilient. Following Transatomic’s failure, small modular nuclear reactors face uncertain future. After getting $millions in investment, Transatomic molten salt nuclear reactor project bites the dust. “Protect Texas from Radioactive Waste Tour” on its way to Midland. The relative hazards of nuclear fuel in reactor cores, spent fuel pools, and dry storage. Nuclear fuel removed from Oyster Creek plant – to concrete casks. Rocky Flats National Wildlife Refuge is now open, but radiation fears remain. Congress Passes Measure to Protect Board that Monitors Nuclear Safety. The hidden danger of internal radiation emitters – dust particles around nuclear weapons sites. Fukushima Radiation causing U.S. Insurance Companies to EXCLUDE all Coverage for Radiation Claims. The Last Nuclear Power Plant Under Construction in the U.S. Lives to See Another Day. U.S. Appeals Court upholds New York program to subsidize nuclear plants. Kavanaugh Confirmation Fight Has Consequences for Climate Law. UK. 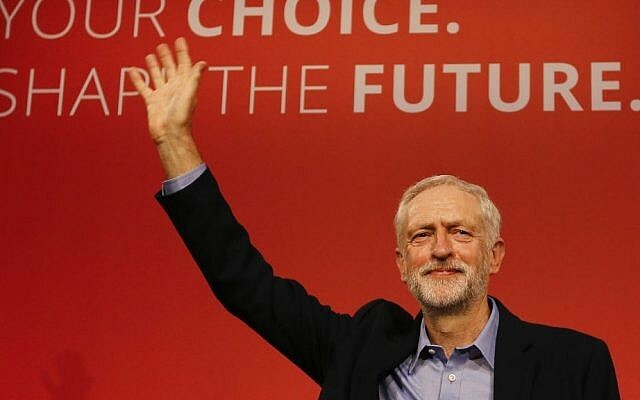 Countering the media’s very unfair attacks on Britain’s Labour leader, Jeremy Corbyn, over nuclear weapons policy. UK media manipulation of Chris Busby. The UK just jailed these men for over a year for a peaceful protest! Last time was 1932. Despite huge delays and cost overruns Britain’s nuclear weapons consortium paid itself £70m of dividends. Protest at Faslane, Scotland, against nuclear weapons. Theresa May: Iran continues to uphold commitment to nuclear pact. JAPAN. 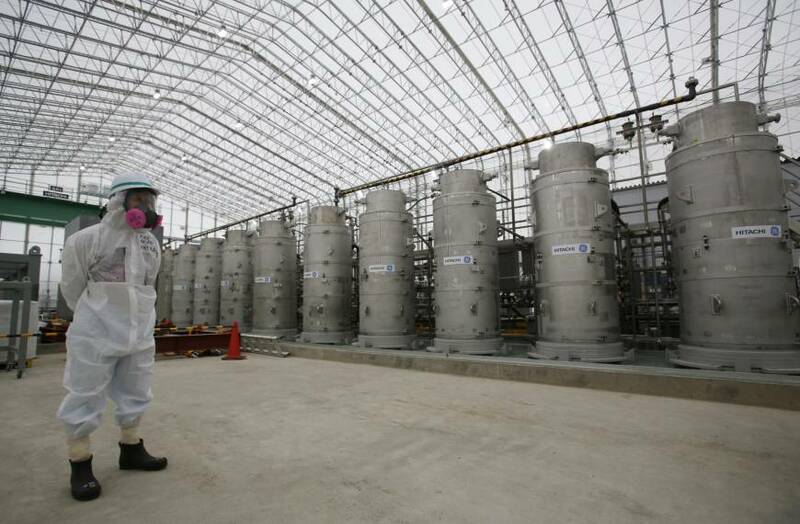 Japan vows to cut its nuclear plutonium hoard but neighbours fear the opposite. Poor region of Japan is now very dependent on Rokkasho nuclear recycling project. Formal restart approval of tsunami-hit Tokai N°2 nuclear plant near Tokyo. Fukushima’s stored water still contains radioactive iodine, cesium and strontium, as well as tritium. London and Tokyo declaration to TEPCO on Fukushima nuclear disaster health effects for 28th September 2018. 39th Human Rights Now Session: Oral Statement on the Hazardous Working Conditions Faced by Fukushima Cleanup Workers. Japan’s Environment Ministry forced to change its forecast in order to make the nuclear industry look better. IRAN. In spite of Donald Trump, Iran is keeping its nuclear commitments. CANADA. The dishonesty in the bribing of “willing host communities” for nuclear wastes. The next big thing: unfeasible small modular nuclear reactors. RUSSIA. Russia and USA will talk about extending New START nuclear weapons treaty. EUROPE. Suggestions that Europe may develop its own nuclear weapons. SAUDI ARABIA. USA, Russia, South Korea and China, salivating at thought of huge Saudi Arabia market for nuclear reactors. OCEANIA. French government group to Mururoa to meet nuclear test veterans. KENYA. Kenya postpones its nuclear power plans. ARGENTINA. Argentina’s nuclear power industry in trouble. Hidden danger: Radioactive dust is found in communities around nuclear weapons sites, LA Times, By RALPH VARTABEDIAN SEP 28, 2018 “……….Studies by a Massachusetts scientist say that invisible radioactive particles of plutonium, thorium and uranium are showing up in household dust, automotive air cleaners and along hiking trails outside the factories and laboratories that for half a century contributed to the nation’s stockpile of nuclear weapons. · The findings provide troubling new evidence that the federal government is losing control of at least some of the radioactive byproducts of the country’s weapons program. · Marco Kaltofen, a nuclear forensics expert and a professor at Worcester Polytechnic Institute, said he collected samples from communities outside three lab sites across the nation and found a wide variation of particle sizes. He said they could deliver lifelong doses that exceed allowable federal standards if inhaled. · “If you inhale two particles, you will exceed your lifetime dose under occupational standards, and there is a low probability of detecting it,” he said. · A peer-reviewed study by Kaltofen was published in its final form in May in Environmental Engineering Science. Kaltofen, who also is the principal investigator at the nuclear and chemical forensics consulting firm Boston Chemical Data Corp., released a second study in recent weeks. · The Energy Department has long insisted that small particles like those collected by Kaltofen deliver minute doses of radioactivity, well below typical public exposures. One of the nation’s leading experts on radioactivity doses, Bruce Napier, who works in the Energy Department’s lab system, said the doses cited by Kaltofen would not pose a threat to public health. · Such assurances have been rejected by nuclear plant workers, their unions and activists who monitor environmental issues at nearly every lab and nuclear weapons site in the nation. · Tom Carpenter, executive director of another watchdog group, the Hanford Challenge in central Washington, said as recently as last year that the Energy Department released an unknown quantity of radioactive particles during demolition of a shuttered weapons factory, the Plutonium Finishing Plant. · After a series of three releases during 2017, the Energy Department shut down the demolition and has yet to resume it. Forty two workers were exposed in the incidents. · The second study by Kaltofen, completed in August, reported that fairly high radioactivity levels were found in 30 samples from the communities around the Hanford nuclear site, near Richland, Wash. The samples found contamination on personal vehicles driven inside the Hanford site that would leave mechanics exposed if they worked around the vehicles, the report said. · Kaltofen also reviewed an internal study in March by an Energy Department contractor, Washington River Protection Solutions, that found a calculated potential dose of 95 milliren for workers, roughly 10 times higher than the federal Environmental Protection Agency standard. · Kaltofen said a broader independent study should look at residual contamination around Hanford. An Energy Department spokesman at the Hanford site said the office had no comment on the studies. For his studies, Kaltofen collected samples outside the Los Alamos National Laboratory in New Mexico, the former Rocky Flats weapons plant near Denver and the Hanford site……..
A worker’s exposure to radioactivity, such as walking by a radioactive substance or having particles cling to clothing, is checked by monitors and badges worn by workers at plant sites. Such exposure is like a medical X-ray, which delivers a momentary dose. But inhaling a small particle of plutonium or thorium can go unnoticed by such monitors and deliver a lifetime of alpha radiation right next to lung tissue, Kaltofen said. HEALTH WELLNESS Team Latestly Sep 28, 2018 All across the world the number of Image Guided Procedures being performed has increased manifold and with it the quantum of radiation exposure medical professionals are being subjected to. Appropriate protection against ionizing radiation is a priority for all medical professionals who perform procedures using X-ray Imaging. It is a well-known fact that occupational doses of radiation in interventional procedures are the highest among the medical professionals using X-rays. Cardiac Catheterisation Labs use X-ray for imaging during the procedures. While the patient would receive a limited dose of X-ray radiation during the procedure, the interventional cardiologists and the other medical professionals are repeatedly and continuously exposed to X-ray radiation during the course of their duty. Nearly 32 million people suffer from heart diseases in India. This alarming rate of increase in heart diseases has caused a corresponding increase in the number of coronary interventional procedures. In India, the number of Cath-Lab installations has doubled in the last five year from 251 in 2010 to 630 in 2015 & coronary interventions rose to 51 percent within a year between 2014 and 2015. The increase in the procedures has also increased the quantum of radiation exposure to the interventional cardiologist as well. Overexposure to radiation may lead to a multitude of severe health effects. Exposure to a high dose of radiation over a short time span can produce acute effects such as skin redness, hair loss, radiation burns, or acute radiation syndrome. These are known as the deterministic effects of radiation exposure. Exposure to low dose scatter radiation over an extended period of time may lead to a significant risk of long-term effects such as cancer, which may appear years or even decades later. 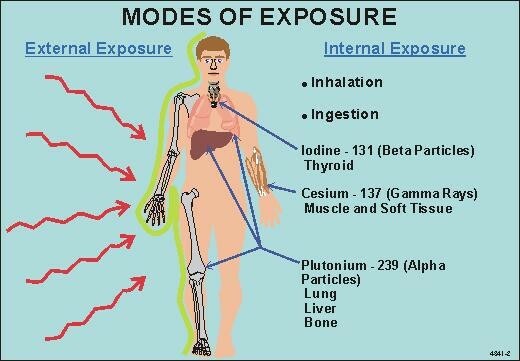 These are known as the stochastic effects of radiation exposure. While radiation protection aprons and thyroid shields are adequate to protect radio technicians in a radiography room because the duration of exposure is limited, far more comprehensive radiation protection measures are required during surgical procedures performed using a C-Arm or Cath-lab due to the extended duration of radiation exposure. These shall include radiation shields placed around the equipment to minimize unwanted radiation, specially designed full body aprons for the healthcare professionals, eyewear, head shields and radiation protection gloves. Use of specially designed sterile radiation absorbing drapes placed on the patient has been demonstrated to significantly reduce occupational radiation exposure. • Increase one’s distance from the radiation source and patient while performing the procedure. For example, working at 80 cm instead of 40 cm can decrease scattered dose to approximately a quarter of the original dose. • Monitor one’s radiation exposure and maintain a data to understand the level of exposure per operation. The goal is to protect the patient from the effects of radiation exposure where the radiation dose is high but the duration is short and medical professionals involved in radiology procedures from the stochastic effects of caused by exposure to low dose scatter radiation for prolonged durations. This requires concerted efforts between regulatory agencies, radiology safety officers in medical institutions and key opinion leaders in conjunction with industry to educate medical professionals across the country on the effects of radiation exposure. 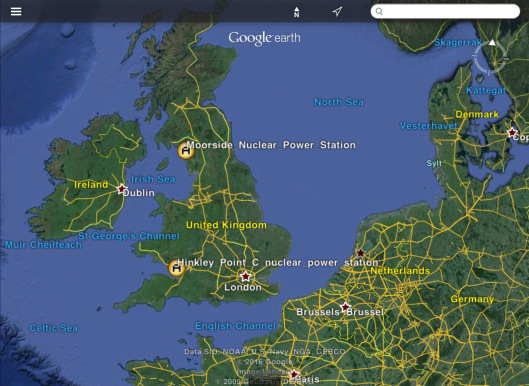 Britain’s Moorside nuclear power project on the rocks? Plans for a new nuclear power station in Cumbria are on the verge of collapsing after the Toshiba-owned company – NuGen – laid off 60% of its workforce and embarked on a final effort to sell the project. Toshiba was due to sell the NuGen consortium to South Korean state-owned firm Kecpo in early 2018, as the Japanese firm exits international nuclear projects and looks to recoup some of the £400m it has spent on the Moorside plant. Unions said the project’s problems showed the need for the government to take a stake in Moorside. Justin Bowden, the GMB national secretary, said: “The looming collapse of this vital energy project has been depressingly predictable for months.” The GMB wants the NDA to be scrapped as it currently exists and a Nuclear Development Agency created to make sure Moorside and the accompanying creation of thousands of new jobs and apprenticeships, goes ahead. (2) The skeleton NuGen team is now focused on clinching a deal with Kepco by the end of the year before Toshiba writes the unit off entirely at the end of March 2019. Success will hinge on whether Kepco buys into a new financing approach for nuclear power plants that the government is exploring, known as the regulated asset base (RAB) model. Officials think it could deliver the government’s nuclear ambitions more cheaply for consumers than alternatives. Dave Toke’s Blog 27th Sept 2018 Labour’s low cost and practical proposals for expansion of onshore and offshore wind, solar power, energy conservation and increases in renewable heat are the surest sign yet that they are the competent choice for Government. Their proposals need some elaboration in places and some work on detail, but seem to be in a different dimension compared to the Tory Government who seem increasingly certain to be heading for self-destruction on the anvil of Brexit. achievable target, and will be done at low cost if simultaneously Labour cancels the disaster-in-waiting project at Wylfa, and some way can be found to avoid Hinkley C being built. cent of electricity coming from renewables by 2025. China’s leading nuclear energy company CGN says it would consider pulling back from control of the Bradwell nuclear plant to appease political sensitivities. Not many people can name the plant that their electricity comes from. But in Jefferson, at a gathering sponsored by Jackson EMC, plenty of customers were familiar with the trials and tribulations of expanding Plant Vogtle. Among the people who gather annually for chicken dinners, gospel music and raffle drawings put on by the electric cooperative, there are worries about the mounting headaches 130 miles away. Plant Vogtle — the only nuclear power plant under construction in the United States — keeps ending up in the news because of its ever escalating pricetag. And those soaring costs are likely to end up in the monthly bills of customers of Jackson EMC and most other Georgia utilities, which are on the hook to pay for the project. But high-stakes events this week suggest that costs will only go higher. Co-owners of the plant voted Wednesday to continue its expansion, but did little to address the fundamentals of the Vogtle’s troubles. The owners ditched a proposal for a firm cost cap on the now $27-billion-plus project and avoided addressing calls by state lawmakers to refrain from passing new cost increases along to customers. Meanwhile, electric membership cooperatives and city utilities around the state lost some of their say over whether the project continues in the future. Georgia Power blasted the idea of a firm cost cap, but agreed to take on a greater share of costs in the event of certain big overruns. The size of the risk shift was limited — if there are $2.1 billion in cost increases, the company would face an extra $180 million penalty, “peanuts in this context,” said one critic. Georgia Power, the state’s largest utility, was given carte blanche to drop out of the project at its sole discretion. Morgan Stanley analysts predict a “very good chance” that Vogtle costs could jump more than another $2.1 billion. “We think there is a significant level of uncertainty around the budget and see a very high likelihood of continued cost overruns,” the analysts wrote. Add that to the existing pile. Nine years into construction, the Vogtle expansion is billions of dollars over budget, years behind schedule and at least four years away from completion. Cost projections and assurances from Georgia Power have been consistently wrong. Then a bankruptcy filing last year by the project’s main contractor, Westinghouse Electric, eliminated a contract that had buffered Vogtle owners from many extra costs. But the costs still continue to rise. When Georgia Power recently announced $2.3 billion in new increases, it automatically triggered a vote by the co-owners on whether to stick with the project. Bitter disagreements among the project’s co-owners bubbled out into the public. It kicked off brinkmanship negotiations over whether and how the project would continue. The core issue is one that has haunted Vogtle for years: Who should shoulder its ever-ballooning costs? Court action over planned shutdown of Savannah River Site’s MOX project. to end MOX earlier this year. incomplete project safely and in a timely manner. https://www.newsobserver.com/news/business/article219171710.html The Associated Press, September 28, 2018 SMYRNA, DEL. Delaware residents living within a 10-mile (16-kilometer) radius of two nuclear plants in New Jersey are eligible to receive free potassium iodide tablets from the state. News outlets report that the Delaware Emergency Management Agency and Delaware Division of Public Health will distribute the tablets next Thursday. The tablets help protect the thyroid gland from radioactive iodine that might be ingested or inhaled during a radiation emergency. The 10-mile radius around the Salem Nuclear Plant and Hope Creek Generating Station is referred to as the emergency planning zone. Those who live outside the zone can obtain the tablets over-the-counter at some local pharmacies. France not facing up to nuclear problems, as High Commissioner for Atomic Energy leaves the position? surprising. The government has known since May that Yves Bréchet would not continue beyond the end of his term. a controlling role in the management of plutonium stocks.